Under desk exercise equipment gives those people who work at a desk 8 to 10 hours a day an opportunity to get a bit of a workout and burn a few calories, and to increase your circulation and energy levels during those long working hours. Let’s face it, if you are trying to lose weight, you simply don’t have 4 hours a day to devote to the gym like those contestants on the “Biggest Loser”. Neither is it always possible to forget family and social obligations to get in those dedicated after work “workouts” in. This means that the average person who wants to keep in shape or lose weight, has to take any opportunity they can find to get some form of exercise, and one way of getting some of that exercise is by using under the desk exercise equipment while you work. DeskCycle is a subsidiary of 3 Innovations LLC, a company founded in 2000 and dedicated to providing solutions for fitness, education, and entertainment. The DeskCycle Desk Exercise Bike Pedal is built with the office worker in mind, whose job keeps them at their desk for many hours each day. The DeskCycle seems to be sturdier than most bike pedal exercisers. The 8 resistance levels are great for those who want to slowly build their stamina. While it may not allow enough clearance under the desk for individuals with really long legs, it should work for the majority of people. This under the desk exerciser gets extremely great reviews, with most of the people who are using this bike pedal exerciser finding that it does allow them to get in some exercise during the work day. All in all, customers seem to really like this desk exerciser and were delighted that it allowed them to exercise while they worked. Isokinetics Inc. is a company that offers a variety of rehabilitation equipment to help people recover from injuries and surgeries. Their Brand Pedal Exerciser With Anti-Slip Strips is designed to help people achieve more knee and leg mobility, but it can also help the average person get in a bit of exercise as well. The Isokinetics Pedal Exerciser appears to be lightweight, making it easy to transport from home to office so you can use it at work or when watching television. 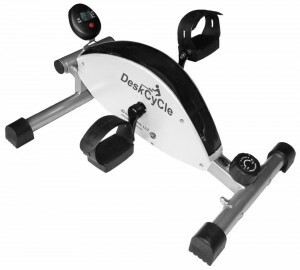 Reviews for this Pedal Exerciser are good, with most customers liking this way of exercising. 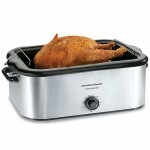 However, there does seem to be a few issues or concerns that some customers have. First, some customers state that while this pedal exerciser is great for use in an easy chair when watching television, it does not fit well under desks (Isokinetics does have another model where the pedals are only 10.5”). In addition, some customers find that these pedal exercisers work better on carpeting, and that they can get hot to touch with prolonged use. While there were mixed reactions from customers, the exerciser does provide a number of benefits, and the fact that you can use it to exercise arms as well as legs, is a plus for some. The Exerpeutic Company offers a variety of therapeutic exercise machines to help people increase their mobility and range of motion. The Exerpeutic Motorized Mini Active Cycle has features that will help just about anyone increase their overall health through exercise. The Exerpeutic Motorized Mini Active Cycle seems to be a good choice for those who need to build leg and arm strength. The motorization of these pedals allows those who have difficulty pedalling on their own to get a workout that can improve and strengthen both their leg and arm muscles. Reviews for this Exerpeutic Motorized Pedal Machine are generally good. Some customers did experience problems with the motor freezing up, but this seems to be the exception rather the rule. Under the desk exercise equipment not only lets you get in exercise when at work, but it is also great for those who have difficulty getting around, and are looking for a way to strengthen their muscles and increase mobility.